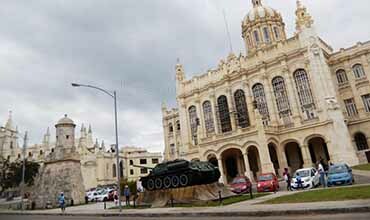 Top rated tourist attractions Habana, Cuba. 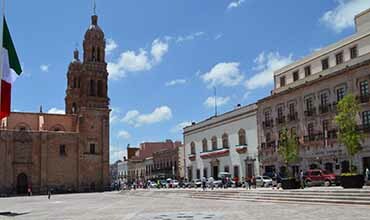 Plaza de Armas has been a social hub in the city for more than five centuries. Cafés and restaurants beckon from its perimeter, and the shady gardens lure locals and tourists alike who come here to escape the tropical heat. Presiding over the plaza are a bevy of Baroque beauties including the magnificent Palacio de los Capitanes, which has hosted more than 60 Spanish generals over the years. Today, it's home to the Museo de la Ciudad (City Museum), a must-see for history buffs, and many musical concerts are staged in its lush courtyard. 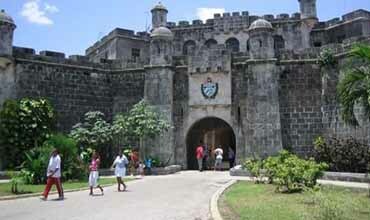 Also on the Plaza de Armas, the mid-16th-century colonial fort, Castillo de la Real Fuerza is another major landmark. 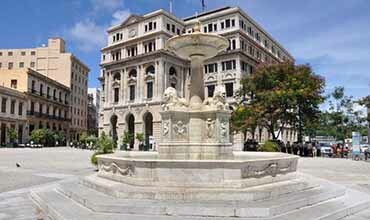 In the center of the square, look for the statue of the Cuban patriot, Cespedes near the fountain. 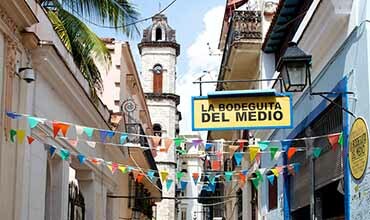 At legendary La Bodeguita del Medio, Hemingway fans can follow in the famous scribe's footsteps. Founded in 1942, this Havana restaurant has been visited by practically every celebrity to set foot in Cuba including Pablo Neruda, Gabriel Garcia Marquez, Nat King Cole, and of course, Ernest Hemingway. Tourists flock here to sip cool drinks, feast on succulent seafood, and listen to live Cuban music while immersed in a rich ambiance of nostalgia. Every square inch of the walls wears the signatures and memorabilia from some of the famous and not-so-famous former patrons. Housed in the spectacular Cuban Baroque Palacio de los Capitanes, the Museo de la Ciudad unveils Havana's fascinating history. Visitors can explore the Hall of Heroic Cuba for an impressive display of objects from the revolution. Art history buffs will want to visit the Espada Cemetery Room to view the tomb of famous French artist Vermay. In the Throne Room, stands a sumptuous chair that was built for the visit of a Spanish monarch, and never used. But perhaps the highlight of the museum is the Salon de los Esperjos. Adorned with beautiful 19th-century mirrors, this room was where the official end of Spanish rule was proclaimed in 1899. Address: Calle Tacón, Plaza de Armas. 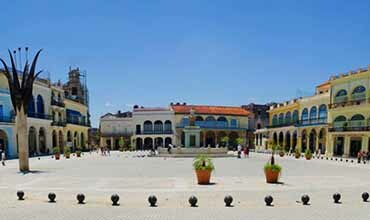 Cooled by sea breezes, Plaza de San Francisco faces the harbor at the entrance to Old Havana. The carefully-restored buildings impart a well-loved feel to this cobbled square. 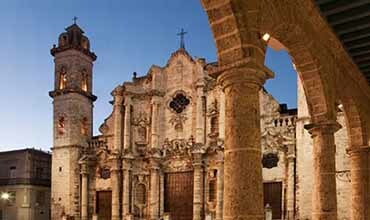 Plaza de San Francisco is blessed with two famous buildings, the Lonja del Comercio, with its stunning central dome, and the Basilica Menor de San Francisco de Asis featuring a tower that provides stunning views over Havana and the sea. Reputed to have the best acoustics in all of Cuba, the basilica is used primarily for musical concerts; check in with the attendant for current events. Also in the square, is the Fuente de los Leones, a white marble fountain. Once a freshwater supply to passing ships, this "fountain of the lions," was carved by Giuseppe Gaggini who donated it to the country in 1836. 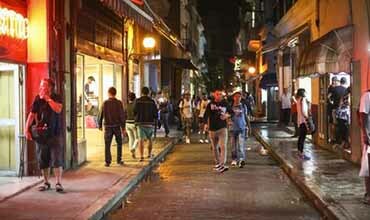 Rich in history, architecture, and entertainment, Calle Obispo is famous Cuba-wide. This narrow roadway connecting Central Park with Plaza de Armas buzzes with life in the evening. Travelers come here to enjoy the restaurants, including the famous El Floridita; soak up the lively ambiance, and admire the architecture, which is predominantly Cuban Baroque and Art Nouveau. Other things to see along this stretch are the Hotel Ambos Mundos, home to Ernest Hemingway for seven years, and Taquechel Pharmacy Museum, which has been dispensing herbal remedies for more than a century. Opened in 1895, Hotel Inglaterra is Cuba's oldest hotel and boasts an illustrious guest list. Back in its heyday, the hotel ensconced the likes of Anna Pavlova, José Martí, and Winston Churchill among others. Although it has a neo-classical appearance, the hotel displays a strong Mudéjar influence; visitors may also notice the beautiful Andalusian mosaics. In the years prior to Cuba's separation from Spain, this venerable hotel was a central gathering spot for liberal-minded activists, and General Antonio Maceo established his headquarters here to plan out the framework for the Cuban wars of independence. Today, tourists that come here for the cheap lodging and rich ambiance. The guest rooms are modest, but the sumptuous lobby is steeped in an air of nostalgia. History buffs may want to sink into a leather armchair here or perch at the alfresco café with a cool drink and ponder the hotel's role as a stage for change. Address: Paseo del Prado, No 416, Havana. A few steps from the Museo de la Ciudad, the 16th-century fortress, Castillo de la Real Fuerza, was built to fend off attacks from pirates. Unfortunately, it was never used for this purpose, since it was positioned too far inside the bay. Instead, the fort functioned as a storehouse for valuables and a residence for members of the military and gentry. Designed and built by Francisco de Calona, Castillo de la Real Fuerza is an engineering marvel with a deep moat, a drawbridge, and walls that are 6 meters thick and 10 meters high. Today, visitors can explore Havana's seafaring history at the maritime museum here with displays such as model sailing boats, weapons, and treasure retrieved from sunken ships. 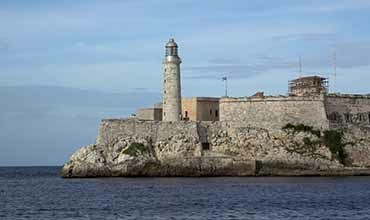 A pleasant place for a seaside stroll with beautiful harbor views, the Castillo de San Salvador de la Punta is rich in history and has played a key role in the maritime defense of Havana. It was designed by three men; Giovanni Battista Antonelli, Juan de Tejeda, and Cristobal de Roda and built over a 21 year span from 1589-1610. 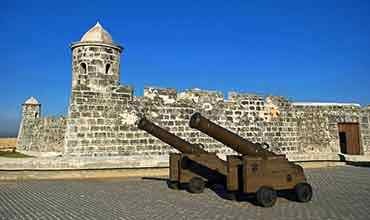 Strategically located on the western edge of Havana's harbor, the Castillo de San Salvador de la Punta was linked with another of Havana's four fortresses, Castillo de los Tres Reyes del Morro, via a brass and wood chain during times of uncertainty. In the case of an attack, this link was tightened and enemy ships were prevented from entering the harbor. Of all the interesting monuments here, the most important is the equestrian statue of General Maximo Gomez. Si va más al oeste llegará a la exclusiva zona de Miramar. En esta parte es donde se encuentran la mayoría de las embajadas extranjeras, tiendas de gama alta y los extranjeros asentados con bastantes facilidades económicas. El alojamiento en Miramar puede ser más caro. Aquí están unos de los mejores hoteles de La Habana - por ejemplo el Hotel Occidental Miramar. Aunque, no es quizás el tipo de experiencia cultural que se vive en el centro de La Habana, Miramar tiene muchos atractivos edificios coloniales y un ambiente bastante más relajado que el resto de la ciudad. Se pueden visitar algunos sitios turísticos interesantes como el Acuario Nacional la Fundación Naturaleza y El Hombre y la Marina Hemingway. 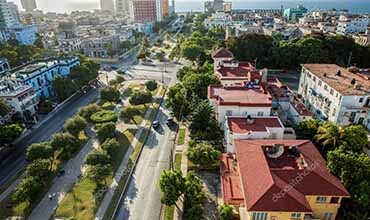 La Habana Vedado está lleno de hoteles de gran altura, restaurantes y paladares, clubes y discotecas y establecimientos comerciales de alto nivel. El precio de las casas particulares en el Vedado es a menudo más alto, pero en general ofrecen mejor calidad. Vedado es ahora la principal zona comercial de La Habana. Sus calles, más tranquilas y sombreadas, lejos del bullicio de La Vieja Habana, reflejan un barrio residencial habanero. 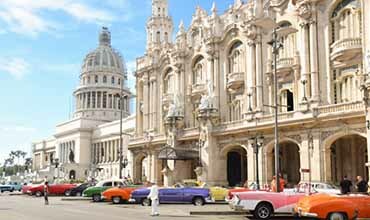 Hay una serie de hitos importantes aquí, incluyendo: El "Hotel Nacional de Cuba", "Hotel Habana Libre", La Universidad de La Habana, fundada por monjes en el 1728. Parque Lennon, en sí mismo el parque es bastante sencillo pero la estatua de Lennon a escala natural está muy bien hecha. 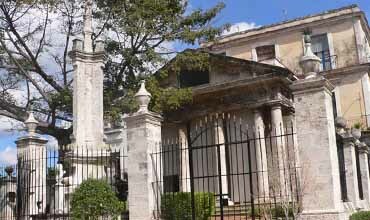 Para los amantes del morbo, el Cementerio Cristóbal Colón, declarado monumento nacional (1987), donde se pueden encontrar varios monumentos y estatuas de mármol dignos de admiración. Ocio y cultura en La Habana: Por la noche Vedado es el centro de la vida nocturna en La Habana. Numerosos bares, clubes y discotecas abren sus puertas y atraen con ritmos de salsa, regueton y disco. Hay que haber visto un show o un concierto en uno de los clubes para conocer la noche habanera. 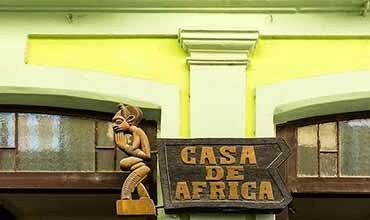 House Africa located in the town of old Havana, province Havana the House of Africa is located on the Street obrapía No. 157 I / San Ignacio and merchants, Havana old. it shows evidence of the African cultures and settlement in Cuba as one of the sources of nationality Cuban. the House that the houses, that of Gaspar riberos of Vasconcelos, was built in the seventeenth century and heir of tradition constructive Moorish Spanish. Castle Morro located in the town of old Havana, province Havana Castle Morro Castle the three Kings of Morro, located input channel access to the Bay of Havana, was built between the years 1589 and 1610. the iconic building is considered impregnable until it was taken by the English in 1762. in the nineteenth century he joined the Lighthouse pointing mouth Port and serves orientation boaters. today integrates the general historical Park military Morro-cabin. The Temple located in the town of old Havana, province Havana the Temple is located in the main square, corresponding to the old Havana, represented by a small construction neoclassical and founded in the year 1828 in the place where were held at the shadow of a Ceiba, the first mass and the first chapter after moving Havana to place now set in. in interiors stand out three huge canvases memorials, work of the French painter Juan Bautista vermay, founder of the Academy of fine Arts San Alexander. the Ceiba located on the outskirts of the building is planted 1959, symbol sacred that according to the tradition grants a desire to who makes quietly, while gives three laps around the tree trunk. San Carlos of the cabin located in the town of old Havana, province Havana located behind the Castle Morro, in the city of Havana, nestled on a Hill overlooking the city. 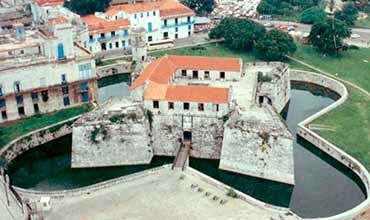 this strength gigantic was built between 1763 and 1774 to strengthen defenses of Havana, which had been taken by the English in 1762 from this advantageous elevation. 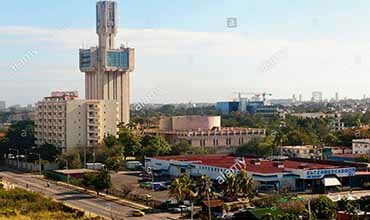 Tropicana Havana located in the town of Marianao, province Havana. 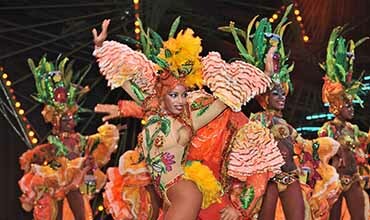 Tropicana Havana listed the most lavish Cabaret open pit and appointed as well as living under the stars is a single site in the world to enjoy the music and folklore Cuban and Caribbean throughout your colorful, musicality and rhythm together represents a waste of art to multiply the cubanísima joy of a real night tropical. Tropicana is in the city of Havana on the Street 72 and online railroad, Marianao, with phone: (537) 267 1717 and hours: 8:30 pm until the early hours. account capacity 1000 Pax and form a system of terraces open pit, surrounded by a lush tropical Forest, where each night are offered the fabulous and only shows Tropicana. Dancers Tropicana in the resort we can find: 1-	lounge arches glass: living covered that plays the countryside Cuban at night, where Tropicana offers their shows rainy days. endowed with air conditioning and high comfort, this room is ideal for holding conventions, Press conferences, fashion shows, concerts and dance. has a capacity 500 Pax. 2-	Restaurant Gardens: Tropicana Havana chords violin and piano, the moon filtering through the roof glass and a comprehensive view Park surrounding confirm exoticism and sophistication of this fancy restaurant located on the site that originally occupied casino Tropicana. service international food, all days from the 7.00 pm until 12.00 am with a capacity 100 Pax. 3-	Coffee Rodney: with an environment characterized by the explosion of modernity own of the 50's, the Rodney is a corner Bohemian that captive immediately. cuisine varied and attractive prices; always from noon and even 12.00 am with a capacity 80 Pax.